Come see our urban campus and interact with admissions and advising staff, faculty, and current students. 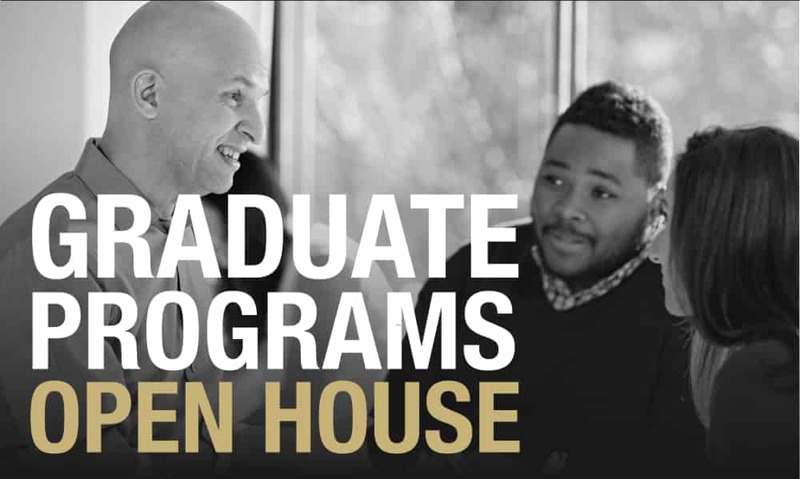 Our Graduate Open House will give you the opportunity to learn more about the admissions process and answer your questions about the graduate programs of interest to you. Food and refreshments provided!